Abide in Truth is a ministry of Calvary Chapel Emmett where Mike Hughes is the teaching pastor. Each week he goes through God’s Word, book-by-book and chapter-by-chapter. Tune in to Abide in Truth weekdays at 10:30 am and 5:45 pm MST. Bread of Life is a ministry of the Bread of Life Fellowship . Pastor Joel Van Hoogen is devoted to equipping and engaging the members of Christ’s Body in personal evangelism, discipleship, and church planting. Tune in to this program weekdays at 12 pm MST. The mission of Cloverdale United Reformed Church is “to bring glory to God by being a dynamic and caring Christian community centered on the worship of God, faithful in bearing witness to the gospel of Jesus Christ, and dependent on the power of the Holy Spirit for life and ministry, as governed by the Word of God.” CURC airs weekday programs at 4 pm and Sunday sermons at 1:30 pm. In today’s spiritual battles, a believer needs epic tools to fight the enemy. Join Marty Meyer, international speaker and author of Epic Faith, as he shares how to put our beliefs into practice and become the people that God has called us to be. Epic Faith airs every Saturday at 8:30 AM on KBXL 94.1 FM The Voice. On Extra, Doug Hardy is talking about anything and everything, whether it’s the latest local or national news story, or a blog post by a leading Christian thinker, or an interview with a pastor or ministry leader in the Treasure Valley and around the world. Join Doug for a quick 15 minutes every afternoon at 1:45 pm. The most pressing issue of the Church today is how Christians view the Gospel. The Gospel is the advanced stuff and the Gospel is the basic stuff, and the Gospel is all the stuff that we need for everything in between. The Gospel Changes Everything! Listen to Josh Bales, pastor of The Well Church weekdays at 3:45 am and 5 pm, and Sundays at 12:30 pm MST. Four Treasure Valley pastors – all committed to showing that the Gospel is not just for the religious part of your life; rather, it is for all of life. You never graduate from the Gospel. Josh Bales, Russell Herman, Phil Moran, and Jonathan Van Hoogen host The Gospel For Life weekdays at 12:15 pm MST. The Fellowship of Christian Athletes‘ exciting local radio program, Heart of the Athlete, airs Saturdays at 9 am and 3:30 pm MST. The show is hosted by local FCA Director, Ken Lewis. This program is a great opportunity to listen to local athletes and coaches share their lives, combining sports with their faith in Jesus Christ each week! Heritage Bible Radio is a ministry of Heritage Bible Church where Jim Harris is the teaching pastor. Radio time is devoted to a portion of the Word of God so listeners can know him and serve him better. Tune in to Heritage Bible Radio weekdays at 4 am and 8:30 am, and Sundays at 7:15 am MST. Life Point is an inspirational show that airs weekdays at 8:45 am MST. Tom Dougherty of Cloverdale Church of God seeks to share God’s truth and interview people who have experienced an encounter with the Lord and are forever changed. In every show, he seeks to lift up the name of Jesus. Doug Hardy is coming to you in the morning to bring you interviews of leaders from the Treasure Valley. Doug is talking to pastors, business leaders, ministry leaders, and many more people that are working to make an impact in the world. Join Doug weekdays at 8:15 am for a quick 15 minutes to encourage you in the morning. Look Up is a 58-minute program that airs at 2:30 pm Monday-Friday, with LIVE shows broadcasting Tuesday-Friday afternoons. Mike Sasso, pastor of Calvary Chapel Eagle, and his wife Linda seek to answer your questions by looking to Jesus and His Word for the answer. If you have a question for Mike and Linda you can call them during the show at (208) 377-3790. Maximized Living Radio is a show that airs Wednesdays and Fridays at 4 pm on 790 AM KSPD and Saturdays at 10:30 am here on KBXL 94.1 FM. Dr. Rosie is a partner of Maximized Living and runs Main Health Solutions, a clinic in Boise. Every broadcast, she provides health tips and solutions to listeners in order to help maximize their lives. Dr. Vincent Muli Wa Kituku, is one of the most sought-after business motivational speakers and trainers. Vincent has risen to prominence by delivering authentic, informative and high-energy messages that help people “spear social buffaloes” and live up to their greatness. You can hear Dr. Kituku every Saturday at 12 PM MST and on our sister station, KSPD 790 AM every Tuesday at 4 pm MST . Reach Out and Trust is a 30-minute program that airs on Sundays at 7:30 am and 11:30 am MST. It is a ministry of Whitney United Methodist Church, of which Rev. Christina Thompson is the pastor. Each program is designed to encourage trust in the Lord and seeks to bring everyone who listens to a deeper relationship with Jesus Christ. This nondenominational group Bible study hopes to utilize the connectivity of the internet and radio to help spread God’s Word. Their mission is to spiritually uplift their community and to work with others in their communities to share towards the greater good. Tune in to this program weekdays at 8 pm MST. Learn more at RelyOnScripture.com. Welcome to Simply the Bible, the through-the-Bible teaching program of Pastor Daryl Zachman of Calvary Chapel Treasure Valley. With this program, Daryl goes through the whole Bible, verse-by-verse, chapter-by-chapter. Tune in to Simply the Bible weekdays at 4:15 pm MST. The Teacher and the Preacher is a radio program hosted by Dave McGarrah, Senior Pastor at Deer Flat Church in Caldwell, Idaho, and Harold Berman of Efrat, Israel. The Teacher and the Preacher airs Sundays at 10:30 am and 7:30 pm MST. Today in the Word is a ministry of Calvary Chapel Caldwell, where Bob Larson is the teaching pastor. Catch Today in the Word weekdays at 5:30 pm MST. Hosted by Mark Renick, Victory over Sin addresses issues pertaining to returning citizens as they face the challenges of coming out of incarceration. This project is funded by Systemic Change of Idaho. Join Mark Saturdays at 12:30 pm MST. Word Alive (Живое Слово) is a ministry of Word of Life Fellowship in Meridian, where Alex Korotkih is the pastor. Word of Life Fellowship seeks to reach the Russian-speaking population in the Treasure Valley for Jesus Christ. Word Alive airs Saturdays at 6 pm MST. BreakPoint airs weekdays at 11:56 am, Saturdays at 4:30 am and 2 pm, and Sundays at 8:30 pm MST. A daily Christian worldview commentary hosted by best-selling author Eric Metaxas and Colson Center President John Stonestreet. BreakPoint provides you with a short and applicable Christian perspective on today’s news and trends. You can learn more about BreakPoint at breakpoint.org. Core Christianity is a program which answers the difficult, unsettling questions of our times with both skeptics and committed Christians in mind. Their message focuses on the core, historic Christian faith. They want to challenge skeptics and the growing numbers of people leaving the church with answers of substance and relevance, answers that give hope to the hopeless by speaking to the profoundly relevant issues of our day. Dr. Michael Horton and Adriel Sanchez host this program weekdays at 3:30 pm MST. You can learn more about Core Christianity at corechristianity.com. Destined for Victory is the broadcast ministry of Pastor Paul Sheppard. An effective communicator of God’s Word, Pastor Paul is widely known for his practical and dynamic teaching style which helps people apply the timeless truths of Scripture to their everyday lives. He pastors Destiny Christian Fellowship, a dynamic church in Fremont, CA. Destined for Victory airs weekdays at 9 am MST. You can learn more about Destined for Victory and Pastor Paul at pastorpaul.net. You can learn more about Discover the Word at discovertheword.org. FamilyLife Today airs each weekday at 4:30 am and 9:30 am MST. FamilyLife Today is a 25-minute program that provides practical, biblical tools to address the issues affecting your family in a format that is conversational in nature. The program is hosted by Dennis Rainey and Bob Lepine and at the core of every program is motivation, encouragement, and help. You can learn more about FamilyLife Today at familylifetoday.com. Dr. James Dobson’s Family Talk airs each weekday at 6 pm MST. Family Talk is located in Colorado Springs, Colorado and was founded in 2010 by Dr. James Dobson. The ministry promotes and teaches biblical principles that support marriage, family, and child development. You can learn more about Family Talk at drjamesdobson.org. Since 1998, Focal Point has been exploring and proclaiming the depths of Scripture on the radio, online, and in print. Focal Point’s primary medium is a daily radio broadcast on over 750 outlets across the United States and internationally on the web. Millions of people are reached through the broadcast and online. The radio program is hosted by Dr. Mike Fabarez, pastor of Compass Bible Church in Southern California. Focal Point airs weekdays at 2 pm and Sundays at 10 am and 10:30 pm MST. You can learn more about Focal Point at focalpointministries.com. Focus on the Family airs weekdays at 7:30 am and 6:30 pm MST. Focus is a global Christian ministry dedicated to helping families thrive. They provide help and resources for couples to build healthy marriages that reflect God’s design, and for parents to raise their children according to morals and values grounded in biblical principles. The radio program is hosted by Jim Daly, the President, and John Fuller. You can learn more about Focus on the Family at focusonthefamily.com. Grace to You with John MacArthur airs weekdays at 6:00 am, Saturdays at 8 am, and Sundays at 6 am MST. This powerful broadcast will boost your spiritual growth by helping you understand and apply God’s Word to your life and the life of your family and church. John MacArthur, pastor-teacher, has been offering his practical, verse-by-verse Bible teaching through Grace to You for 40 years. 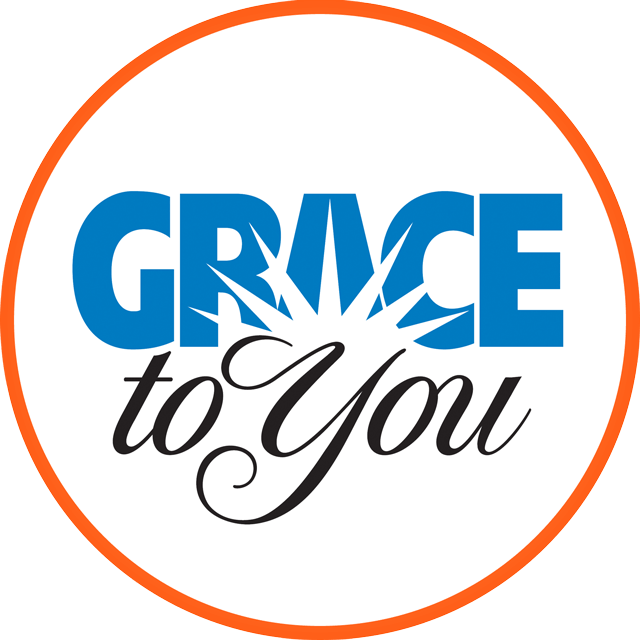 You can learn more about Grace to You at gty.org. If you are dealing with a personal or family issue and would like to hear directly from June on your situation, consider an appearance on a future broadcast of Hope In The Night. Each weeknight, June Hunt gently works through some of life’s most painful problems with callers. To schedule your time with June on Hope In The Night, leave your information at 1-800-644-4817. Hope in the Night airs weekdays at 10 pm MST. You can learn more about Hope in the Night and June Hunt at hopefortheheart.org. Insight for Living with Chuck Swindoll airs weekdays at 2 am, 5:30 am and 7:30 pm; Saturdays at 9:30 pm; and Sundays at 11 am and 4:30 pm MST. Join the millions who listen to the lively messages of Chuck Swindoll, a down-to-earth pastor who communicates God’s truth in understandable and practical terms—with a good dose of humor thrown in. Chuck’s messages help you apply the Bible to your own life. You can learn more about Insight for Living at insight.org. Jay Sekulow Live airs each weekday at 10 am MST. The American Center for Law and Justice (ACLJ) focuses on constitutional law and is based in Washington, D.C. The ACLJ is specifically dedicated to the idea that religious freedom and freedom of speech are inalienable, God-given rights. The ACLJ focuses on the issues that matter most to your national security, protecting America’s families, and protecting human life. You can learn more about Jay Sekulow and the ACLJ at aclj.org. Just Thinking is a quarter-hour weekday broadcast that airs at 4:15 am and 1:30 pm MST. The radio outreach of RZIM is a listener supported ministry that powerfully mixes biblical teaching and Christian apologetics. The programs seek to explore issues such as life’s meaning, the credibility of the Christian message and the Bible, the weakness of modern intellectual movements, and the uniqueness of Jesus Christ. You can learn more about Just Thinking and RZIM at rzim.org. Leading the Way airs weekdays at 4:30 pm and Saturdays at 6 am MST. Leading The Way is uniquely equipped to reach a global audience by using today’s technology to connect individuals with sound Biblical teaching—whether here at home or in closed countries and remote regions. This program is hosted by Dr. Michael Youssef. You can learn more about Leading the Way at ltw.org. New Life Live! is live each weekday at 11 am MST. America’s #1 Christian Counseling Call-In Radio Program, New Life Live! helps identify and compassionately respond to the needs of those seeking healing and restoration through God’s truth. Steve Arterburn and guest hosts address issues concerning spiritual, emotional, and relational health. You can hear weekend editions of this program on Saturdays at 1 pm and Sundays at 5 pm MST. You can learn more about New Life Live! at newlife.com. Jack Hibbs is the host of Real Radio and the pastor of Calvary Chapel Chino Hills. Real Radio airs weekdays at 12:30 pm and Sundays at 2:30 pm MST. The program is designed to take you chapter-by-chapter and verse-by-verse through the Bible. It tackles current issues and important topics but always examines them through the filter of the timeless truth of God’s Word. You can learn more about Real Radio and Pastor Jack Hibbs on his website. Thru the Bible airs weekdays at 6:30 am and 9 pm, Saturdays at 6:30 am and 9 pm, and Sundays at 6:30 am and 9 pm MST. This program takes the listener through the entire Bible in just five years, threading back and forth between the Old and New Testaments. You can begin the study at any time. When the program concludes Revelation, it begins again in Genesis; therefore, if you are a listener for five years, you will not miss any part of the Bible. You can learn more about Thru the Bible at ttb.org. Truth For Life with Alistair Begg airs weekdays at 5 am, 1 pm and 9:30 pm; Saturdays at 2:30 pm; and Sundays at 3 pm MST. The ministry’s mission is to teach the Bible with clarity and relevance so that unbelievers will be converted, believers will be established, and local churches will be strengthened. Tune in as Alistair helps listeners apply the Scripture to their daily lives. You can learn more about Truth For Life at truthforlife.org. Turning Point with David Jeremiah airs weekdays at 3 am and 7 am MST. Their mission is to deliver the unchanging Word of God to an ever-changing world through sound Bible teaching. Their belief is that when one’s life intersects with God, that moment will be a life-changing turning point. You can learn more about Turning Point at davidjeremiah.org.